Located at 55 Glynburn Road, Glynde, Italia Ceramics tile and stone showroom is located 10 minutes from Adelaide CBD and is one of the largest and most impressive retail showcases in the Southern Hemisphere. We have a stunning range of wall and floor tiles, stoneware, fittings and room ideas on display. Innovation is our philosophy and we constantly strive to bring our clients the latest looks in tiles and natural stone. Our extensive showroom is constantly evolving with new ideas to reflect the natural qualities of our ceramic, porcelain, and natural stone wall and floor tiles. And to capture the imagination of our clients. Our approach to retail is to focus on presenting a stylish range of quality products that discerning customers will appreciate. Rather than relying on short-term sales promotions, our honest approach to customer service means that we can learn about our clients’ needs and tailor wall and floor tiling solutions that people are proud to live with. As with any innovative interior design project, the space needs to be seen, touched and walked through to be appreciated. We encourage you to visit our tile and stone showroom to experience the space and be inspired. Perspective Tiling are qualified and licensed tilers specializing in all types of wall and floor tiling. Free quotes and quality workmanship at an affordable price. Servicing all Adelaide Metro suburbs and surrounding areas. Founded in 1980, Newton Ceramic Centre, is one of the longest established tile businesses in South Australia. 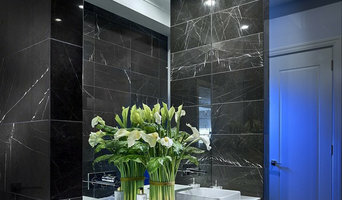 Newton Ceramic Centre is renowned for bringing the most exclusive and advanced tiles in the world to Adelaide. We have access to the latest designs and technology to help turn our clients’ dreams into reality. Our showroom of over 450 square metres, offers an extensive range of ceramic, porcelain, glass, natural stone and reconstituted stone to suit any style of home or application. The beautiful displays perfectly showcase ideas, and help our clients to choose the perfect tile. Newton Ceramic Centre services the retail, wholesale, trade and building sectors and with a division solely dedicated to architectural, commercial projects and interior designers -we have what you are looking for. a little bit about us.. “Quality. Value. Service. These are the 3 values that have underpinned Cerbis’ operations since its inception in 1987. As a 2nd generation, family-owned business, we take pride in sharing our family values with our staff and customers. Quality: Whilst we travel the world sourcing the latest products and designs, a common factor that is never compromised, regardless if the product comes from Europe, Asia or South America, is quality. All our products are carefully selected to ensure that they meet our ultimate test. If we are not prepared to have them in our own home, we will not put them into yours. Value: Chances are that your biggest investment is your home. You want to make sure that every dollar you spend is generating the most value for your investment. Since 1987 we have been tailoring our products and designs to give you the best result for your budget. And with such a large range of products in stock, we can help create your dream home without a nightmare cost. Service: As a family owned and operated business, we know how important it is to look after each other. Honesty and integrity are central to our business and we run strictly on the principle of doing what we say and standing behind our products 100%. So whether you are just getting ideas or need help with a complicated installation, you can rest assured that we will be there to assist you in any way we can. Our Services Colour Consultation - We offer colour consultation with experienced colour consultants across the range of your internal and external finishes. Custom Joinery and Stone design - A full service, custom design of your new kitchen, bathroom etc utilising the latest in 3d design and visualisation software. Huge showroom - Come and choose anything from tile, stone, joinery and paint colours in our impressive showroom. We are constantly updating with the latest products and finishes. Large Stock-holding - As direct importers and wholesalers, we carry stock of almost all our products. And if we happen to be out of stock at any particular moment, you can be sure the next delivery is in one of the hundreds of containers we ship in from around the world every year. 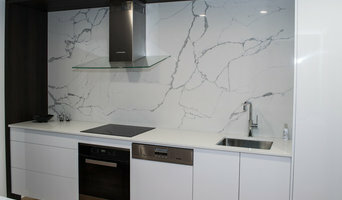 EMR MARBLE AND GRANITE PTY LTD Founded in 2006, our SA family owned company has grown from a small business to one of Adelaide’s top prestige and professional marble and granite manufacturers. EMR’s staff, with over 50 years combined experience, are experts in working with natural and manmade stone such as marble, granite and quartz. Our materials are sourced from many well known, trusted brands such as CaesarStone, SmartStone, EssaStone, Quantum Quartz, with a range of colours to suit any clientele, design, home or lifestyle. We specialize in kitchen bench tops, bathroom vanities and furniture for domestic and commercial projects. Our modern factory, equipped with Australian Made stone cutting machines, ensures the finest quality finishes. Our aim is your complete satisfaction, by providing the best products, and giving superior professional service at an affordable price, in an efficient timeframe. From selection of stone, through to installation and cleaning the workspace once construction is complete. Whatever your needs, big or small EMR will deliver. EMR Marble & Granite is built on the principles of honesty, integrity, reliability and hard work. We carry that tradition to your home or office, and pride ourselves on making your living space beautiful and unique. For over 30 years we have been purchasing, supplying and manufacturing granite, marble, quartz and acrylic bench tops. Always looking to give our retail and commercial clients the creative edge, we are constantly sourcing and importing new products, including porcelain and marble tiles, wall cladding and timber flooring to complete any design. Proving that we lead the way in manufacturing technique and accessing the latest styles and trends, our showrooms located in Australia and the Asia Pacific Region, can provide you with creative concepts, quality products and specialised service. With expertise and industry-leading manufacturing processes - SteedForm deliver on practically any design or idea for horizontal and vertical surfaces. The SteedForm team, based in Adelaide for over 40 years, manufacture stone, porcelain, timber, laminate, new-generation materials and more. We know the Australian marketplace inside and out, and deliver anything from trendy kitchen benchtops to large scale commercial projects. We’ve even been fortunate enough to work on some of SA’s most iconic locations - such as Adelaide Oval and the new Royal Adelaide Hospital. Recently, we have reintroduced cabinet componentry into our manufacturing repertoire. We now have the capability to bond door fronts/panels, cut and edge door profiles and offer a unique range of integrated handle options. Currently, we are the only SA manufacturer offering integrated handle services to the industry. We are well respected in the research and development space, very rarely backing down from a challenge. We thrive on growing emerging concepts. Team members with decades of experience help guide customers through the process of testing and developing prototypes - if it can be done, we will find a way. A blend of unique machinery and equally unique staff makes all this work achievable. Our Wingfield factory is home to an array of equipment, that not only helps us to execute multiple materials daily, but gives our workers the opportunity to stay ahead of the curve. We work with all major brands within the decorative industry, and can offer independent advice on them all. Ceramica Tile+Design is owned and operated in Adelaide, South Australia. We supply unique, superior quality tiles from all over the world. At Ceramica Tile+Design we believe that you deserve the very best and we have selected factories utilising the latest technologies to provide us with the high quality products that have become synonymous with our company. Eco Tile Factory began in Adelaide, South Australia in 1986 selling just tessellated tiles for heritage restoration and was then called The Olde English Tile Factory. We soon became known for our specialist heritage tiles and by the early 1990s we had completed some major projects including The Adelaide Arcade and Raffles Hotel in Singapore. With our expertise in heritage restoration and high quality renovation we gained a reputation as leading suppliers of tiles for building projects both locally and overseas. We recognized the need to extend our range of tiles and stone and to build a ‘green’ philosophy into our company. With this we changed our name to Eco Tile Factory and created a new look showroom and product range. Our commitment is provide better choice tiles for quality and sustainable building. The values we uphold in our company are extended into the community through our involvement in socially and environmentally responsible programs nationally. Today Eco Tile Factory is able to supply tiles for residential projects of all eras, boutique bars and cafes, interesting commercial work and public places and more. 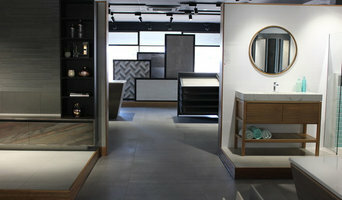 Our beautiful showroom is filled with samples, ideas and spaces to build concepts to meet requirements of your project. Our reputation is supported by our loyal and repeat patronage over many years. Eco Tile Factory is both a retail and wholesale tile outlet. We have both a strong national and export profile and a key factor in our success is the integrity of our product. We are South Australian owned. We believe in our state. For over 16 years we have specialised in providing kitchen solutions to our clients. We pride ourselves on offering an excellent service at an honest price and we have over 4000 South Australian customers that could vouch for this. We have built new kitchens, manufactured custom designed flatpacks or undertook a makeover that just required installing a new stone top or doors or doors to complete the transformation. We also believe that getting the design right is where it all begins. With a small but dedicated team you can be assured that your project will flow smoothly from start to finish delivering a quality product on time. We are not about gimmicks or free giveaways unless this is a genuine special offered to us by our suppliers and we are then happy to pass it on. We offer our best price first and do not believe in pressure selling. With more and more products coming into the market we have constantly reviewed and expanded our product offering so that we can give our clients the best fit cost effective kitchen solution. As you would expect we carry all required builders licenses and have been members of the HIA and the NKBA for many years. All our tradesman have the relevant qualifications and insurances that will give you peace of mind. If you are thinking our undertaking a kitchen renovation and are not sure what is the best solution why not ask professional staff? Adelaide Concept Tiling recognises each project is unique. We provide customised solutions for each of our clients. Our services include commercial, residential, renovations, stonework, waterproofing and heritage tiling. Our experienced team specialise in large format tiles including and up to 2400 x 1200 tiles. For an obligation free quote contact us today to discuss your upcoming project. Welcome to J&C Tiling Service We pride ourselves in providing tiling services based on the following qualities. We are looking forward to meeting you soon. 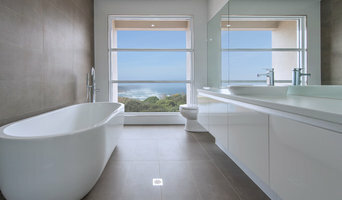 Plenty of Field Experience We at J&C Tiling Services have long offered plenty of Tiling Services in Adelaide and regional areas of South Australia. Along with it, Our Services have shown excellent quality of work on both Commercial site and Domestic site. The Highest Standard of Workmanship J&C delivers best results with proven conscientious approach to work and attention to details. We are conscious in meeting customer’s needs and listen carefully to what are required to make sure there is a smooth and coordinated transition from initial works to the final handover. Excellent Management With experienced & qualified tilers and well trained assistants, J&C provides the quality of work in a professional manner. We continue to communicate and share ideas internally to make sure high standard of workmanship meets every step of the process, thus, making customers more than happy. Trustworthy and Reliable Operation We believe that our success is entirely dependent upon customers’ trust. So, J&C has always provided our services on the belief that best quality and the minimized cost do coincide. Every staff is well aware that work has to be done thoroughly, carefully, and responsibly. In addition, we are always mindful of cost incurred on the part of customers and act our best to save it. We are very pleased that such a manner has been noticed by our pleased customers. No matter how small, we provide quality workmanship because every single customer is important. Strong Customer Service Focus J&C prides ourselves in focusing on strong customer service. We do not stop making our services even better unless we finally hear customers say “YES”. As customers are the reason we exist for, there is no too small work in providing the quality of our workmanship. We offer helpful ideas to customers and ensure we leave work area clean and ready for use. ¿Por qué debería contratar a un profesional en revestimiento de paredes o encimeras en Green Hills, SA, AU? Ya sea porque quieres proteger partes de una estancia de la casa o porque quieres embellecer una zona, es recomendable que te dejes asesorar por un profesional. La colocación de azulejos, por ejemplo, puede parecer más sencilla de lo que en realidad es. Pues para que realmente quede bien y bonito, hace falta técnica y mucha experiencia. Se suelen alicatar o revestir paredes de la ducha, así como los salpicaderos. Todo esto principalmente por una cuestión de practicidad. Además, un profesional del alicatado en Green Hills, SA, AU, podrá aconsejarte también sobre qué materiales son más adecuados. Si te paras a pensarlo, el revestimiento de paredes en Green Hills, SA, AU se suele llevar a cabo por motivos prácticos, pero las encimeras no son una excepción. No son un elemento decorativo, sino que están hechas de materiales resistentes para que lo aguanten casi todo y para que se pueda limpiar a fondo una zona donde conviven a menudo diferentes tipos de bacterias. De todos modos, hay gente que quiere dar un toque original a una pared y necesita a alguien para colocar azulejos de colores. Los murales de pared, así como los suelos hidráulicos, son actualmente tendencia. Encuentra alicatadores y expertos en encimeras en Green Hills, SA, AU. Mejora los resultados de la búsqueda en la sección “Profesionales” incluyendo el nombre de tu ciudad o comunidad autónoma. También puedes consultar las fotos de proyectos de los profesionales de Green Hills, SA, AU para encontrar expertos que hayan trabajado en proyectos similares al tuyo.